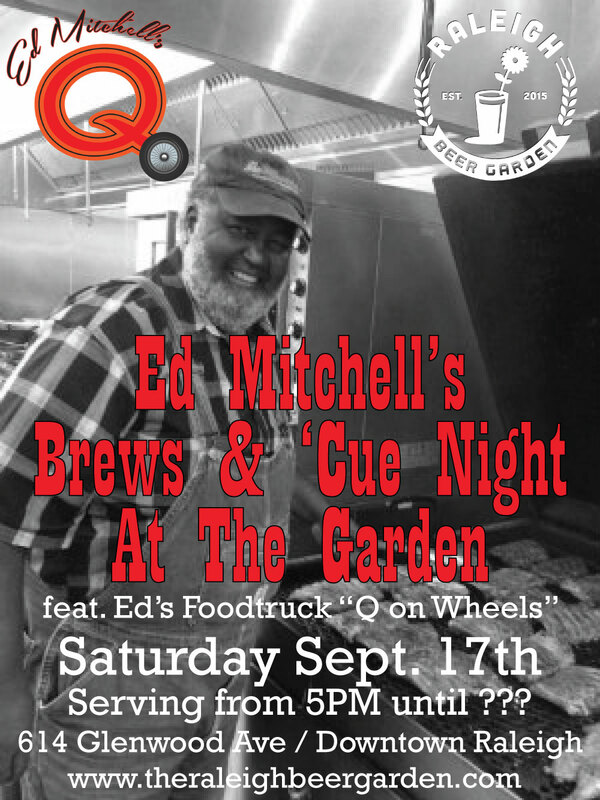 Hibernian Co., Inc. and Ed Mitchell have announced that Ed Mitchell’s Brews & ‘Cue event featuring Ed’s food truck, “Q On Wheels”, will be held at the Raleigh Beer Garden in September. The renown pitmaster’s truck will feature his highly sought after signature barbecue offering a wide array of platters and sides on Saturday September 17, 2016 from 5:00 p.m. until food runs out. Ed Mitchell will also be a feature of the upcoming Capital City ‘Cue Fest which will be hosted at the Beer Garden on Saturday, November 12, 2016. More details on the additional competition cookers and musical line-up will be released soon at www.theraleighbeergarden.com/events.